Assisted living facility financing for acquisitions, refinances, and even new construction is available now! 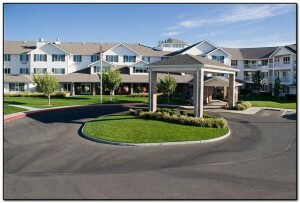 For existing facilities, our assisted living facility financing programs include a long-term, low interest rate solution that will help you to acquire a new facility with a low down payment and great terms or to refinance your existing debt into a new loan to reduce your interest expense and to increase your cash flow. We even have cash-out programs that will allow you to do renovations or expansions. This financing is NOT at HUD program. We have one of the only construction loan programs for assisted living facilities that is not dependent on HUD approval. Funding is available from $2,000,000 up to $50,000,000. The ideal range of funding where we see the most success is from $10,000,000 to $38,000,000. This exciting new program was designed to be an alternative to lengthy HUD programs. Assisted Living Facility Construction Financing through Dividend America means that developers can avoid costly delays associated with HUD and USDA B&I programs! Draw requests, work order changes and other issues handled by professionals well versed in the needs of developers and construction lending. Popular markets for Assisted Living Facility lending includes; Atlanta, GA, Phoenix, AZ, Charlotte, NC, Jacksonville, FL, Austin, TX and Greenville, SC, Dallas TX. Other markets include Raleigh, NC, Ashville, NC, San Diego, CA, and Chicago, IL. Loans for Assisted Living Facility Construction can be obtained in many markets but these seem to be very popular. Most business loans for assisted living facilities are a combination of a commercial mortgage and commercial business loan. Construction financing for Assisted Living Facilities usually takes on this combination with the commercial mortgage funding the land development and building construction funding and the business loan providing the capital needed to get the equipment and business sup and running. projects will receive 25 year amortization period. Recourse: Some Personal Guarantee typically required however this is negotiable depending on strength of deal. Dividend America offers the loans that pay dividends for your business. We have all types of loans for assisted living facilities and financing for medical office buildings. Development loans, construction loans, commercial business loans and assisted living facility purchase loans. Business loans for medical office buildings and assisted living when combined with a small business loan or with equipment financing are our specialty. We get them done even when banks have said NO!